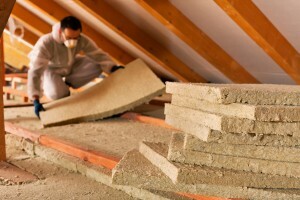 Before you look for other companies to install insulation in your Lexington, Kentucky, home, have the experts at 31-W Insulation take a look at your home first. We can perform an obligation-free consultation for you, but we can also assure you that you won’t need to hire anyone else to insulate your home. Our installers will work hard to see to it that your house is thoroughly protected against heat transfer from top to bottom, and with insulation materials from companies like Owens Corning® and CertainTeed, your new insulation will be sure to last for years to come. When you turn to us to install insulation in your home, you’ll be able to enjoy the comfort of more consistent temperatures in your home and the potential savings on your electricity bill due to your HVAC system not requiring as much energy to maintain the temperature you want. For more information on why you should choose us over other insulation companies for your home in Lexington, Kentucky, contact 31-W Insulation today.